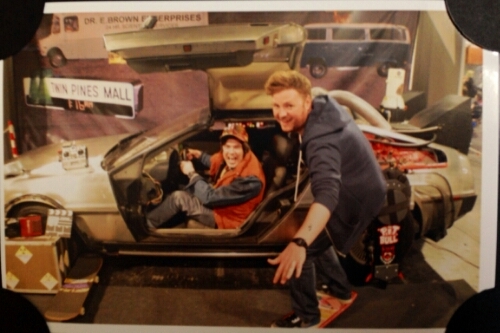 Screenkicker at MCM Glasgow Comic Con 2014 – Screenkicker! In case you’re wondering, no I haven’t finished my Guardians Of The Galaxy review. This is partly due to yesterday’s trip to MCM Comic Con in Glasgow! The gang rolled out early on Saturday morning on a mission to capture the essence of Scotland’s biggest comics convention. Beer was drank, I struggled to recognise costumes from obscure Japanese cartoons, and my compadres Denis and Chris tried to give me the slip three times. We also had a chance to see Luke Evans present an exclusive first look of his new movie Dracula Untold. Unfortunately I really needed the toilet so had to take care of that so I missed the footage. Don’t worry though I’ll have a review of the finished product for all you vampire fans. Regardless of this blatant display of disrespect the day was a success. 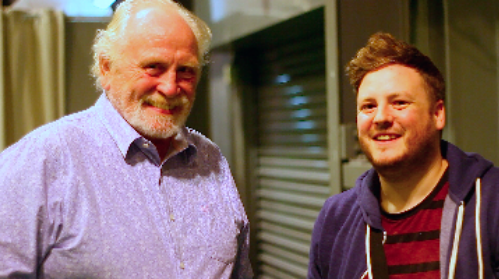 We met Game of Thrones star James Cosmo, the lovely Hannah Spearitt of Primeval and S Club 7 fame (look out for interviews coming soon), and many more strange and wonderful people. A full video is in the works so to tide you over and to bully you into subscribing to the Screenkicker Live YouTube channel here’s a promo video to get you in the mood! 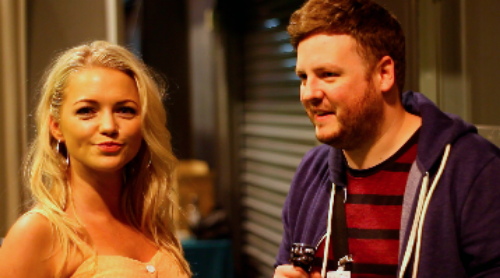 Look out for more footage coming soon! Previous 4 Reasons You Need To Watch House Of Cards – Now! Haha damn straight! I think she actually photo bombed me! Couldn’t understand a word on that video. Thanks mate, there’ll be a longer video coming soon! I’m sick of your excuses!!!! !